Where I Belong was a really fun story, and a very quick read. Seeing Corrinne embrace her inner hick was an enjoyable experience. The focus is definitely on Corrinne and her learning things about herself and about life in general – I think the cover makes it out to be more of a romance than it is. I’m not saying that as a critique, because it didn’t bother me. Just fair warning. Sometimes I let the stupidest things bother me. When Corrinne is first learning her way around Broken Spoke, they talk about the town having only one sit-down restaurant (Chinese) and a Sonic. Then, the school is described as three stories high with several hundred (400 maybe?) students. Now see, that doesn’t work for me. If the town is large enough to have a school with that many students, it is definitely too large to have only one sit-down restaurant. I mean, I grew up in a small town in Oklahoma – the high school was two small hallways jammed together with a cafeteria in the middle. My graduating class was 40 people. And even my town has a little more going for it than one Chinese place (that there’s a picture of my town’s classy hamburger place. best fries ever.). I mean – at the very least there should be like a burger place and/or a Mexican restaurant. God save me from a small town in this part of the country where you can’t sit down somewhere and order a burger (Sonic does NOT count). So, like I said, I realize it is really silly that I’m so focused on that – but it seriously bothered me to the point that I enjoyed the book less. I’m not claiming to be an expert or anything – but that set-up just totally clashes with what I know about small towns. Anyway, other than that (which probably doesn’t bother anyone else anywhere), the story is awesome. There isn’t a lot of deep characterization, but the way everyone interacts with each other is very interesting and entertaining nonetheless. This is a story of a self-centered, spoiled brat learning about life, family and cow manure in the small town of Broken Spoke, Texas. If that sounds like something you’d enjoy – pick up the book and prepare to enjoy the ride! I can see where that would get annoying. But this one sounds cute to me, so I will probably still pick it up. 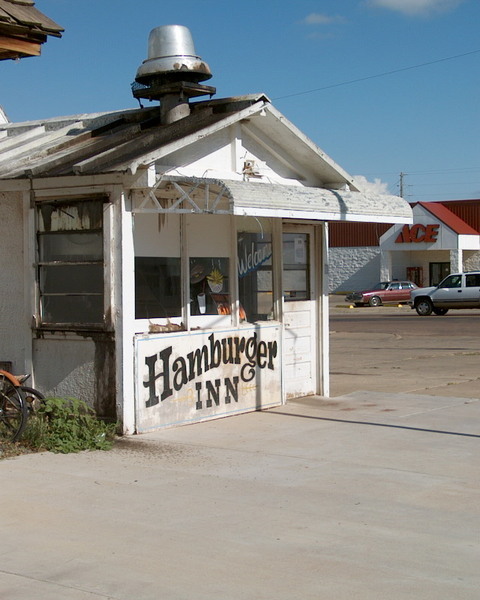 A town in Texas that has a sit down Chinese place and not a burger, steak or Mexican place? No, that doesn't sound at all right. It does sound like a cute book though. Just a reminder that the Chick Loves Lit Blogoversary Carnival that you signed up for is Tuesday (March 15)! Please try to have your post up at midnight EST on March 15. I will have a linky on my blog that day where you can link your specific giveaway post URL for all the visitors! When you post please include the Carnival graphic (from my blog) and a link back so everyone can find the rest of the giveaways. If you have any other questions please let me know – and thank you for celebrating with me! It sounds like a lot of people were expecting more romance than it had because of the cover. When I was reading it, I was also surprised about the size of the school. I did not even think about the number of restaurants being out of proportion with the school though. I understand how that bothered you because I typically get distracted by details that just don't seem realistic.